Skills and Abilities: Proficient hand to hand combatant in the ways of the Samurai. 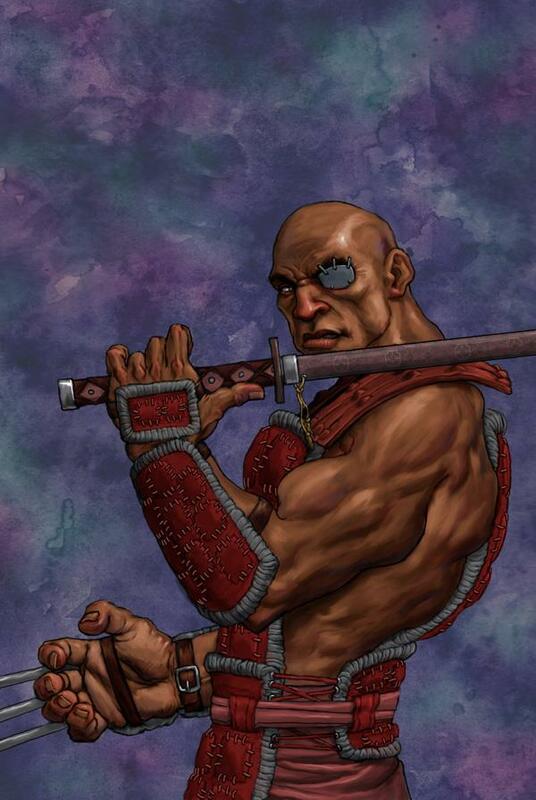 The heir to Samurai Clan is Keylon Jakes son who has adopted his father’s mannerisms to the fullest and at 6’9” is an imposing figure with his patch over his left eye. To understand what makes Keylon tick is to know the values and traditions of the ancient warriors for which Keylon has fully embraced their doctrine. A master of several forms of combat, Keylon is a man of honor whose only fault is that he’s dedicated to his father. In a world filled with insanity and fantastical warriors, Keylon is the eyes and heart of the reader who sees the events of the world. He is our champion.